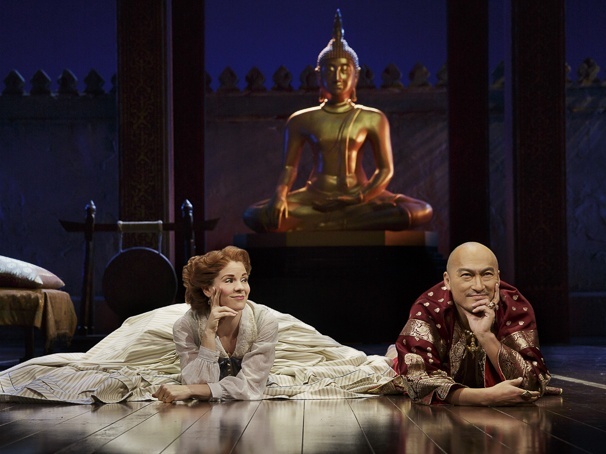 The jewel in the crown of the current Broadway season, Rodgers and Hammerstein treasure The King and I gleams in a ravishing revival. 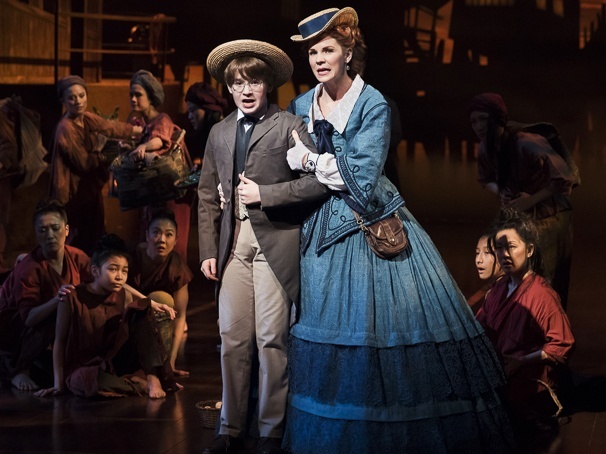 The vision of esteemed director Bartlett Sher and team, in combination with the luminous talents of the cast, represents the current pinnacle of theatrical achievement. The Phantom’s chandelier and Miss Saigon’s helicopter, long held as the peak of heightened stage effects, have finally been usurped. Anna Leonowens and her son Louis enter on a boat so incredible that it would be difficult for readers of this review to believe, even if words could actually be found to describe the effect. No photos of this sequence have been released, leaving only one way to experience this wonder: buy a ticket and see it in person. 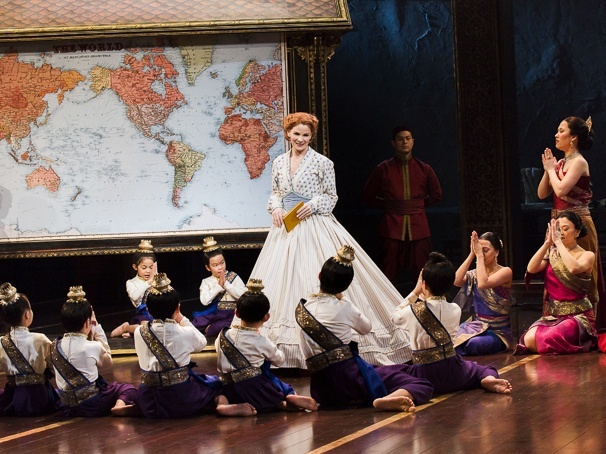 Assembling the same stellar team of collaborators as for his acclaimed South Pacific revival, Sher shows an even greater level of confidence and inspiration for The King and I, a musical that is already considered one of the greatest ever written. 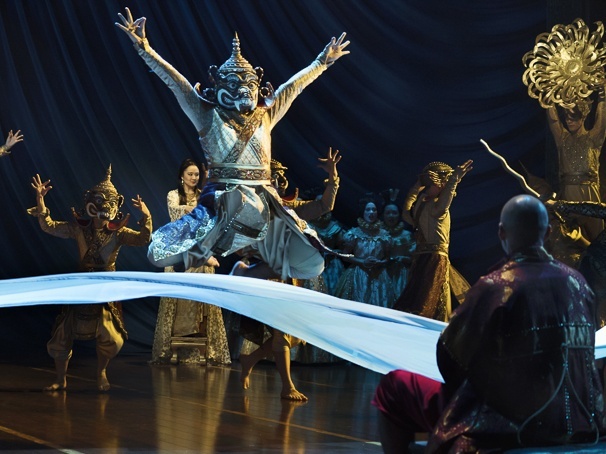 Directing an almost arena-sized production, Sher is able to include every detail and nuance that the script possibly calls for, creating an immensely satisfying, fully realised staging. If there is one inbuilt flaw, however, it is the need for constant movement so as to perform towards audience members around the 1800 curve of the auditorium. 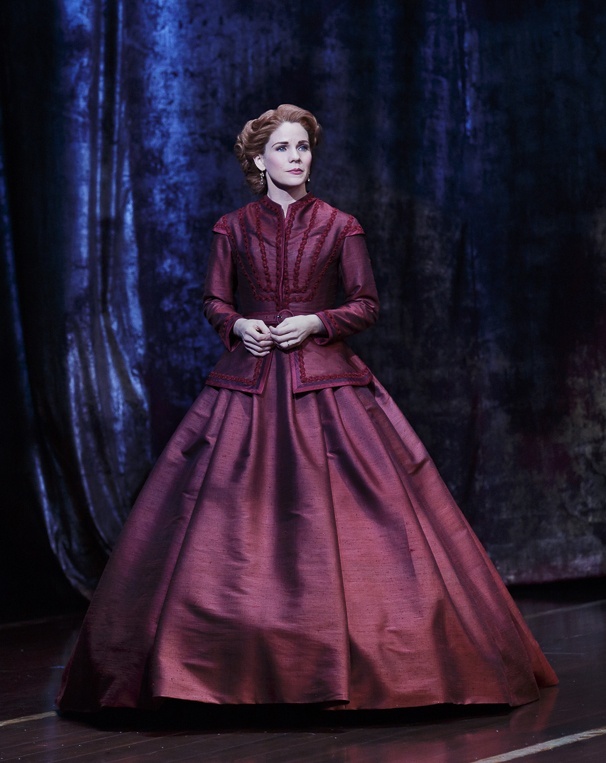 Five-time Tony nominee Kelli O’Hara is dream casting as Anna, a role she was born to play. O’Hara expertly conveys the competing forces of ladylike grace and feisty feminism that fan the flames of Anna’s inner turmoil as she struggles to both respect and alter the King’s ways. And of course O’Hara’s golden soprano sounds divine as she sings all of Anna’s hit tunes. Movie actor Ken Watanabe makes his US stage debut in an electric portrayal of the King. Whilst it is usually just assumed that the characters speak in English for the audience’s sake, it is clear here that that the King is practically daring anyone not to use English. Watanabe maintains a high level of deliberate nervous energy to convey the high wire of tension the King straddles as he balances his affairs of state and home. Watanabe’s natural singing style suits the conversational tone of the King’s songs. Watanabe and O’Hara enjoy terrific chemistry. 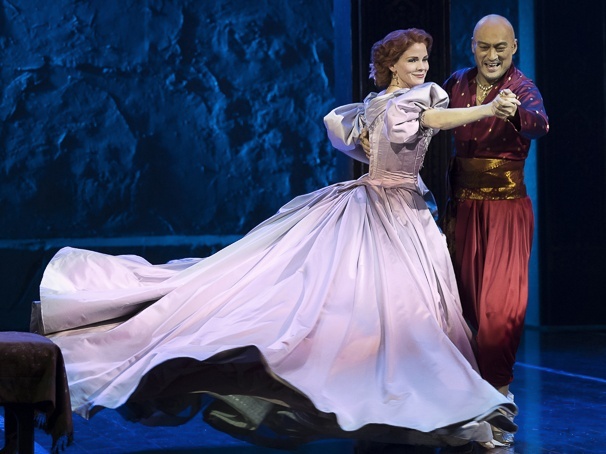 At the moment when the King and Anna come together to dance arm in arm in “Shall We Dance,” a proverbial pin drop could have been heard in the auditorium. Often a problematic moment at the end of a long night, Watanabe, with help from Sher, makes the King’s crippling loss of face very clear, also developing a damaged voice and physical condition for the final deathbed scene. 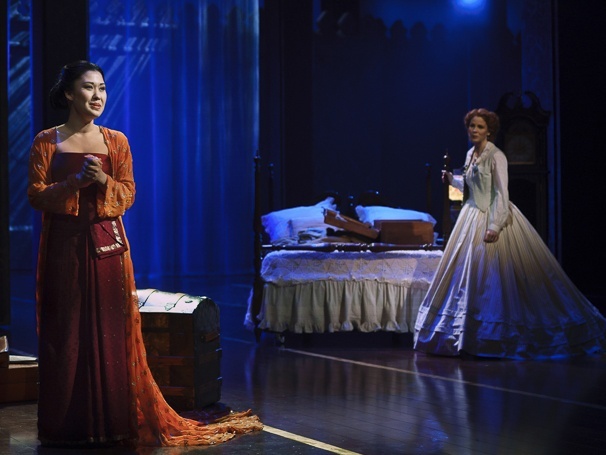 Ruthie Ann Miles skillfully conveys the proud carriage of head wife, Lady Thiang. Her rendition of “Something Wonderful,” while entirely lovely, is somewhat marred by the need to move about to include audience on all sides. This song is much more powerfully performed standing completely still. Ashley Park and Conrad Ricamora are fresh, appealing and talented as young forbidden lovers Tuptim and Lun Tha. Park is well served by “The Small House of Uncle Thomas” ballet, which gives her plenty of scope for drama, especially with Eliza dressed and coiffured to look exactly like Tuptim. The fate of these lovers seems especially moving in this production. Designer Michael Yeargan has filled the vast Beaumont performance space with illustrated panels, decorative beams, a massive rear fortress wall and lovely hanging blossoms. With the main playing space thrust forward of the wings, the epic scale feels intimate in this theatre. The only drawback to this, however, is that set and prop pieces must constantly be carried on and off stage. The design palette of burgundy, purple and gold is all the richer for Donald Holder’s luscious lighting. 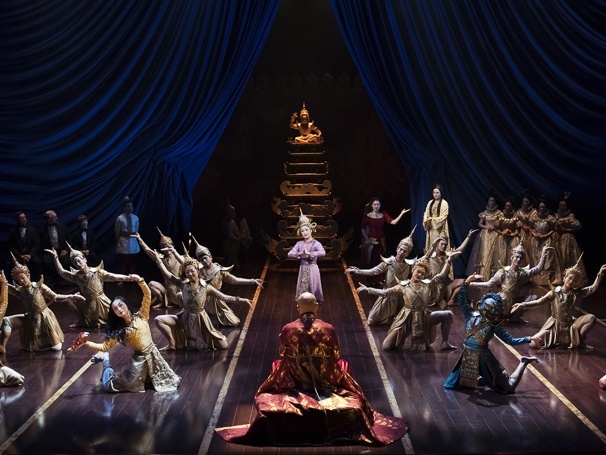 Given a massive cast of well over 40 to dress, costume designer extraordinaire Catherine Zuber has created a sumptuous picture of palace life, with wives, children and priests outfitted in exotic jewel tones of red, orange, purple and sapphire. Zuber tells a story with Anna’s dresses, taking her from the contrasting shade of forest green, through cooler blues to lavender and finally to rich dark burgundy, showing that Anna has finally accepted the ways of the Siamese people. Choreographer Christopher Gattelli adds some spirited movement to cover scene changes, as well as filling the large stage with the iconic polka of “Shall We Dance?.” Gattelli’s “The Small House of Uncle Thomas” ballet, based upon the work of Jerome Robbins, is as intricate and pristine as it is dramatically effective. Ted Sperling presides over a lavish-sized orchestra of 29 players giving an exquisite performance of the beloved score. This is must-see theatre, provided you can secure a ticket.